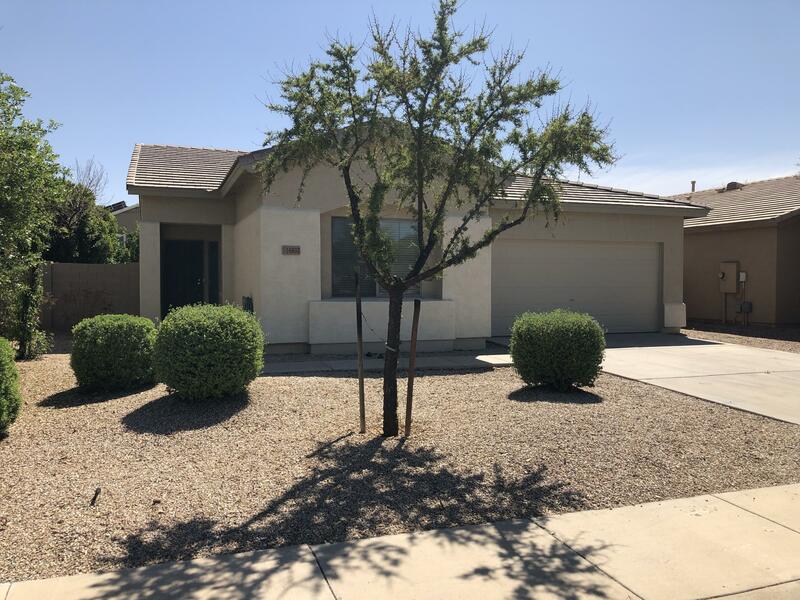 All RANCHO GABRIELA PHASE 1 homes currently listed for sale in Surprise as of 04/19/2019 are shown below. You can change the search criteria at any time by pressing the 'Change Search' button below. "Make this house your home today! Enter to your elegant formal living and dining rooms with coffered ceilings and travertine flooring. Pass into a beautiful Chefs Gourmet eat in Kitchen open to the living room with a gas fireplace suitable for your whole family! Upstairs you have a third living room area, laundry room, 3 bedrooms with a full bathroom. Split Master Suite for ultimate privacy! All of this topped off with a sparkling pool in the backyard with a canvas to use as you wish. 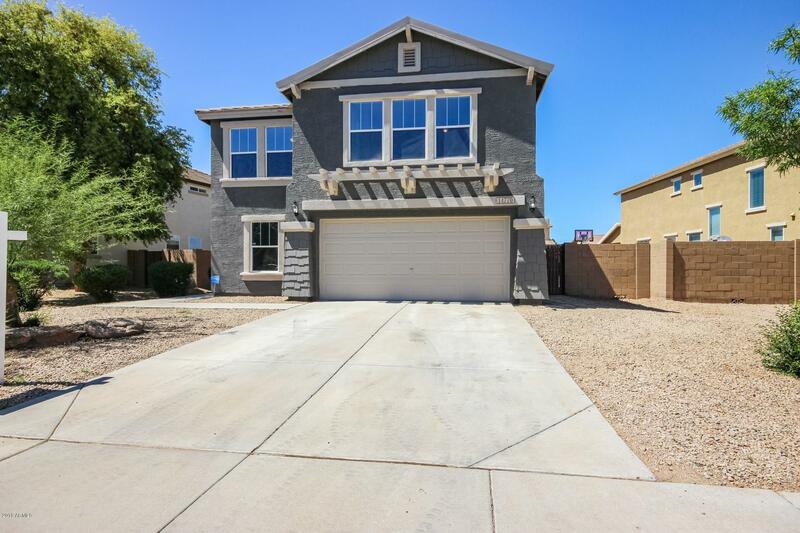 Don't wait "
"Renovated 2285 sq ft 4 bed 3 bath in Surprise AZ. New interior/Exterior paint, laminate flooring, baseboards, dual pane low e windows. Large open kitchen with clean white cabinetry, new Whirlpool and Bosh stainless appliances, Carrera quartz countertops throughout, and a large pantry. All new fans, fixtures, all new doors throughout, new neutral carpet in bedrooms. Extremely large loft with huge 2nd level walkout deck. Extended covered patio, sparkling oversized self-cleaning pebble sheen poo"
"WOW !!!! 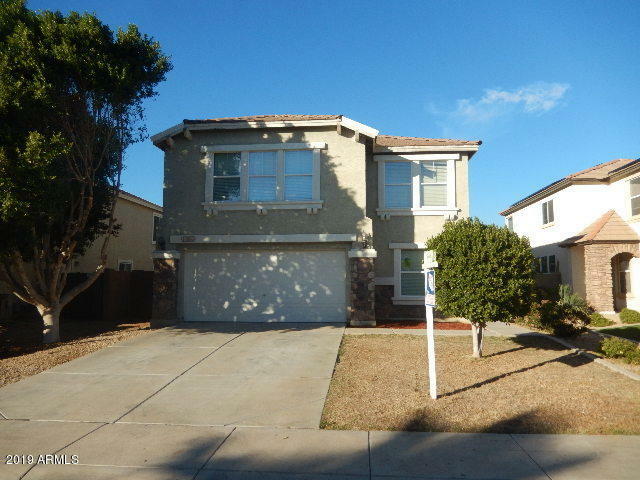 Beautiful Rancho Gabiela home features 4 bedrooms 2.5 bathrooms, with master bedroom downstairs. Open bright kitchen with stainless steel appliances open to the family room. Great loft with 3 bedrooms upstairs. Backyard has an Arizona room with an easy care yard. All this and an R.V. Gate. Close to schools,shopping, and restaurants." "Beautiful two story home with custom brick accents. 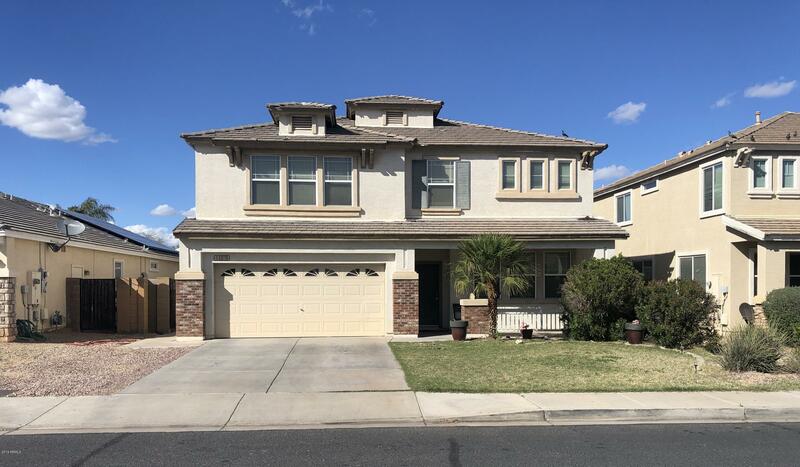 Your 4bedroom home features tile in all major walk ways, wood flooring in great room, large open kitchen with granite counter tops, new stainless steel appliance , sink, faucet , lighting, overlooking dining area and great room, great room custom entrainment built in wall. Home has new carpet throughout home, two tone interior paint, Lighting, faucet , vanity tops, and more. One bedroom and bath down stairs, large open loft open s to balcony "
"Perfect move in ready home in beautiful Rancho Gabriela. This 4 bedroom, 2 bath home has open floorplan with tons of space. The large kitchen features black appliances, kitchen island, and lots of cabinets. The master bedroom has huge walk in closet, his and her sinks and private toilet room. House also has new carpet, has been painted inside and out just over a year ago. Large laundry area that includes washer and dryer. You dont want to miss this home."